The CleverShade never fails to amaze us with the unlimited possibilities it can offer. Just recently, we were sent a photo of the CleverShade utilized as a fire truck awning. Everyone needs a break from the sun, especially coming up to the summer months. We all know firefighters deal with enough heat on the job. So it isn’t all too surprising that when they can, they like to cool off under our CleverShade vehicle awning. There’s good reason that we’re beloved by Australians and around the world. It’s because CleverShade is the best way to relax in the harsher climates, be it sun or rain. Hopefully we’ll see more of our CleverShade used as a fire truck awning in the future. Curious to see other uses for the most versatile shade on the market? Take a look at our common uses page. Under the Austshade name, we’ve provided ideal shade solutions to countless happy customers for over 22 years. CleverShade is the product of many years in experience, testing and design. We can happily say we’ve made the ultimate choice for everyone who loves their vehicle or likes the comfort of shade, which is to say: probably the entire world. Simple to install, lightweight without losing sturdiness, (approximately 15.5kg with equal or better wind rating than our competitors) and the guarantee of a proven Australian manufacturer. Make the right choice, stay cool with CleverShade – The shade that moves with you. 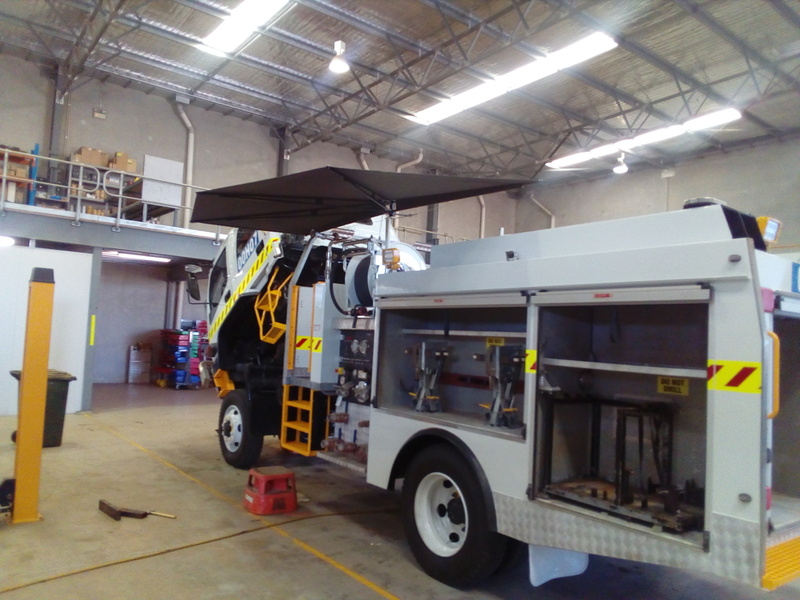 If you’d like to inquire about our CleverShade vehicle awning, please call us on (07) 3889 6844 or send us a message through our contact form below. We’re more than happy to assist you with any questions you may have.